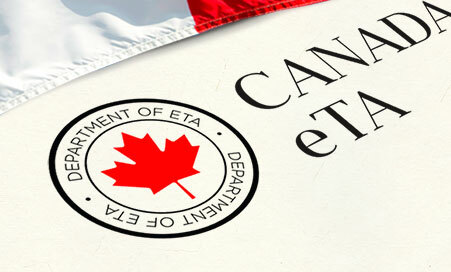 If you’re in the process of planning that much anticipated trip from to the UK to the USA to enjoy their tourism offerings, or to transit to another country for pleasure or business, then you’ll find this short guide on ESTA authorization rather useful. The Visa Waiver Program (VWP) between the USA and select counties such as the UK permits citizens and nationals of those countries to travel to the US without needing a visa. Increased incidents of acts of terrorism led the US government to develop and implement a security regulations system where all citizens of the UK wishing to travel to the US have to go through a Department of Homeland Security (DHS) monitored online application program before they gain travel authority. The Electronic System for Travel Authorization (ESTA) is a mandatory travel authorization pre-screening program that citizens from VWP participatory countries must successfully go through before they can gain entry into the US. Successful applicants are awarded a two-year travel authorization that allows them to remain in the country for up to 90 days per visit. It is a pretty simple application process, but you will not be allowed to entry without the travel authorization. It’s best to apply for it well in advance of your planned travel date. You will need a machine readable passeport. Complete the application online by downloading the ESTA form, fill in the required data then submit the form electronically. You will also need to submit the application fees then all you’ll need to do is wait on a confirmation email. This email will bear one of three final decision on your ESTA application: Authorization Approved, Authorization Pending or Travel Not Authorized. If your application is approved, you will be sent an email bearing vital information such as your ESTA number which serves as the travel authorization and the expiration date. If the response is Authorization Pending, you should check the ESTA website for updates within 72 hours. If your application was not authorized, you will need to apply for a B-1 Visitor Visa or B-2 Tourist Visa. Before applying for your ESTA , take some time to visit the website and take the free ESTA eligibility test. Whether the US is your final destination or you’ll be “In Transit” to another country, you’ll need a travel authorization. If you’re in transit to vacation or do business in another country but will return to spend some time in the US before returning to the UK, you should apply for an Esta USA Visa waiver. Before planning your trip to travel to USA, take care to review and get acquainted with the ESTA formality that will affect the validity of your travel. The ESTA cannot be used for working or study purposes, except for non-credit study.